I love shimmer as much as the next person, but sometimes, it's nice to have some matte shadows to kind of balance things out. When i came across Stila's In The Know Eye Shadow Palette, i knew i had to have it! When it arrived at my doorstep, i immediately fell in love. This palette contains 10 earth inspired shades along with Stila's best selling smudge Stick Waterproof Eye liner in an exclusive shade (which I'd describe as a slate gray). Overall, i find these colors to be incredibly user friendly. I find myself reaching for a certain few more than others but have used and loved every single shade. Fire is seriously stunning! I have also become a huge fan of deep dark eye shadow because it immediately dresses up my eyes! I reach for Ebony in this palette and apply it on to my eye lids. It's a total stunner and works really well when blended with Fire. If you've been searching for the perfect combo of matte shadows, look no further... this palette is for you! I mean... even the shadow names scream perfection! oooh the colors look amaze!!! 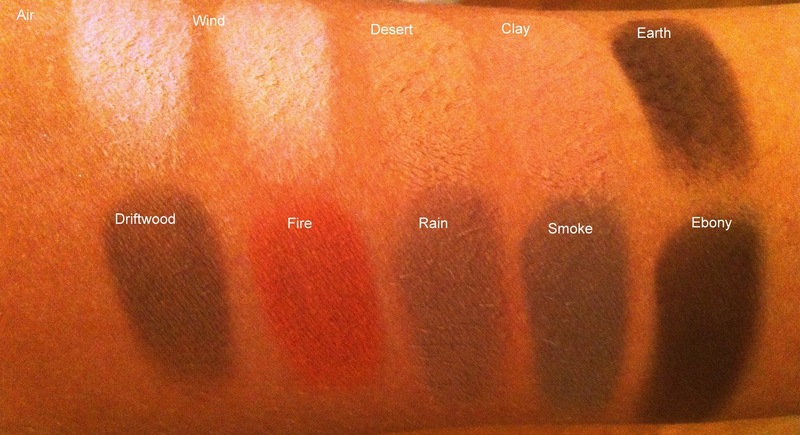 Gorgeous colours, specially smoke and clay, love it! These colors truly are beautiful! i love colors so much! I have to agree, these are the type of matte colors I like, xoxo. Oh I might need this! Given my advanced age (haha), I'm still so clueless with makeup....so I really appreciate your blog help Carla!!! Would love to get a Stila for Christmas! Great product review. It is very rare to find a palette with all matte neutral colors so this one works for me!! Thank you so much for your comment, I would love to follow you, but I dont see gfc here...? Let me know the way on my blog! Kisses!